It’s easy to make homemade yogurt in an electric yogurt maker and the results are well worth the effort Homemade Yogurt Recipes. Choose the type of milk you like from fat-free to whole milk, organic or locally grown or conventional and you can also create flavors to suit your taste. Homemade yogurt will have far less sugar than the commercial yogurt and you’ll also be helping the environment by using the little glass jars that many yogurt makers come with, instead of buying individually packaged plastic yogurt tubs. These instructions should work for most automatic yogurt makers that have individual glass or plastic containers, but make sure to read your machine’s instruction booklet for instructions specific to your machine Homemade Yogurt Recipes. Heat the Milk– Pour 1/2 of milk into a saucepan and heat it over medium heat. Continue to heat the milk until it begins to foam along the edges of the pan, but don’t let it boil. Temperature of the milk should 180˚F. Remove the pan from the heat and let it cool. Cool the Milk– Cool the milk until the temperature reaches to 110˚F. While it’s cooling, spoon 6 ounces of yogurt into a medium-sized mixing bowl. Temper the Milk and the Yogurt- Tempering is gradually combining a hot liquid with a cooler liquid.Homemade Yogurt Recipes Using a ladle, add some of the cooled milk to the yogurt, about a half-cup at a time, stirring with a wooden spoon until the mixture is smooth. When you have added about 1, 1/2 to 2 cups of milk to the yogurt, pour the milk-yogurt mixture back into the pan with the remaining milk and stir until the mixture is completely smooth and creamy. 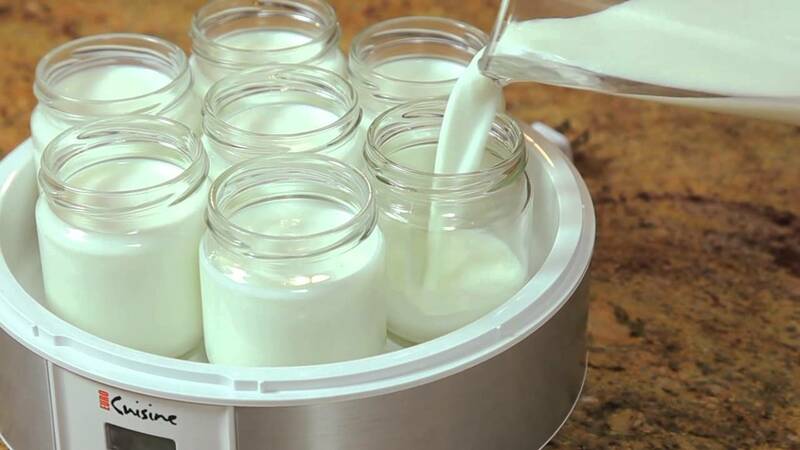 Fill the Yogurt Containers- Fill the yogurt containers equally with the yogurt-milk mixture and place them in the yogurt maker with the lids off. Place the cover on the yogurt maker. 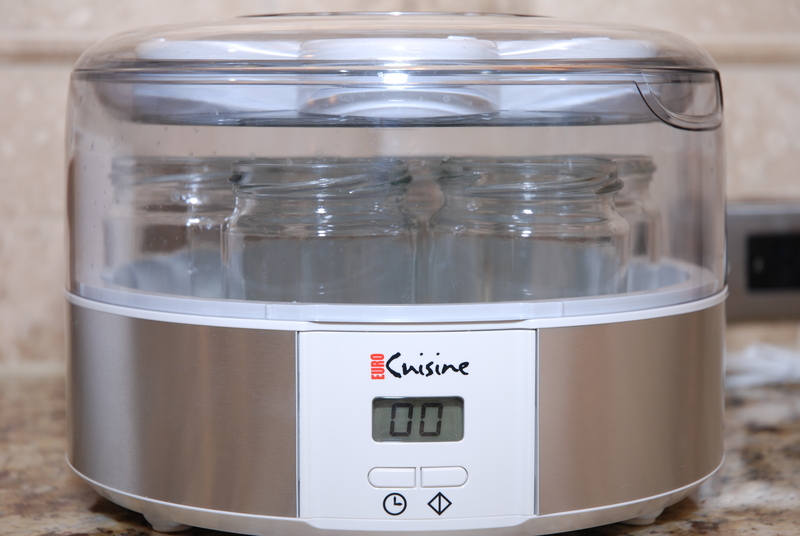 Program the Yogurt Maker- Turn the yogurt maker on and program it for the desired amount of incubating time. Whole-milk yogurt will take about 7 hours, 2 percent yogurt will take 9 hours, and skim-milk yogurt will take 10 hours. While the yogurt is incubating, be sure not to bump, move or otherwise disturb the yogurt maker as it could interfere with the process. Refrigerate the Yogurt- When the yogurt has finished incubating, remove the containers from the yogurt maker, put the lids on and refrigerate the finished yogurt until it is chilled through, at least 3 hours.